It's another ornament tutorial today for Christmas week here on the blog. 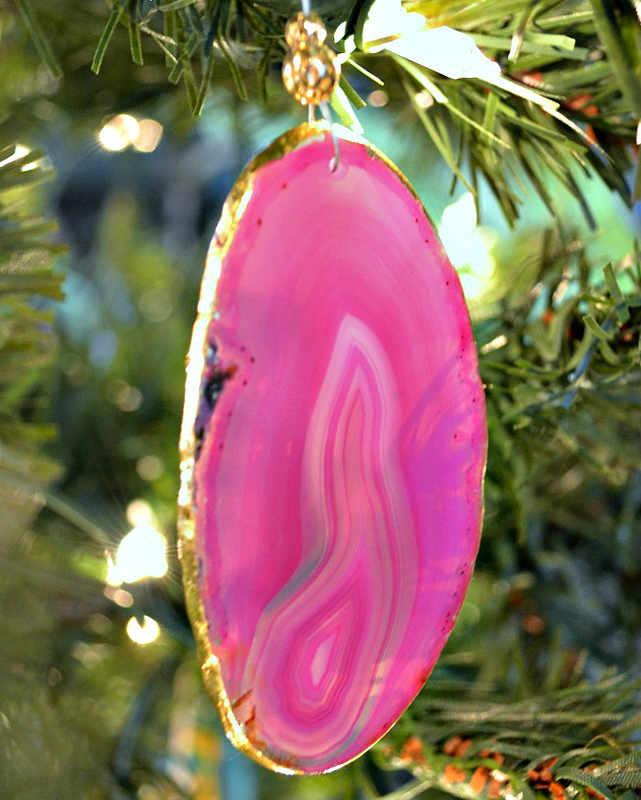 I made these ornaments last year when everyone and their mom was crushing on agate. 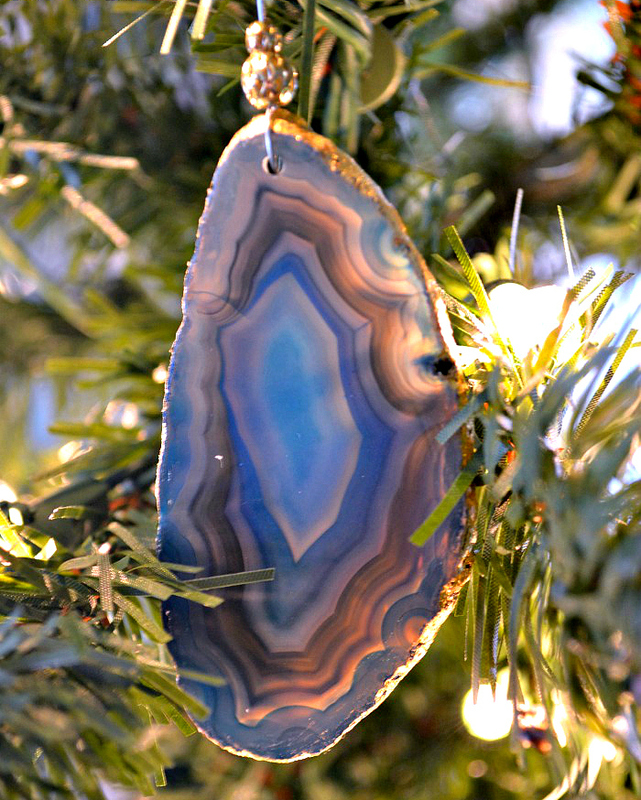 I think it's safe to say most of us are still crushing on agate so it felt natural to share that one, especially since it's one of the handmade ornaments that have landed on my tree this year. 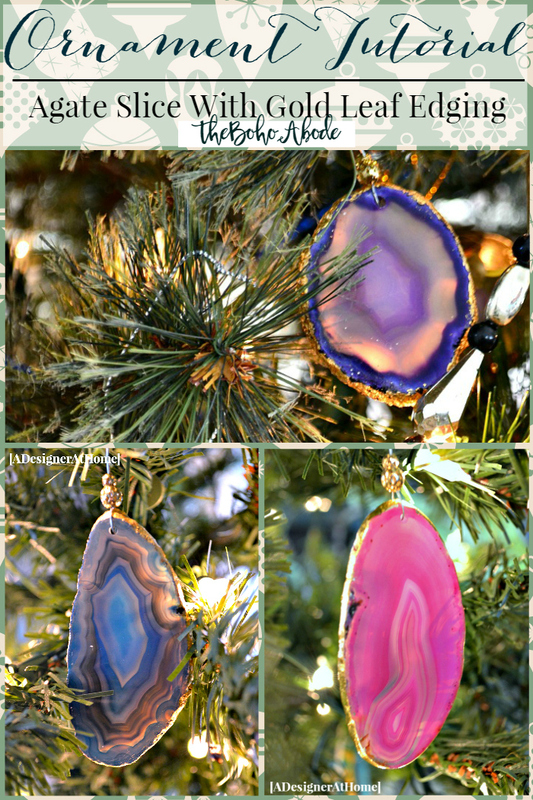 These are gold leaf agate slice ornaments and they glow when hung near twinkle lights! 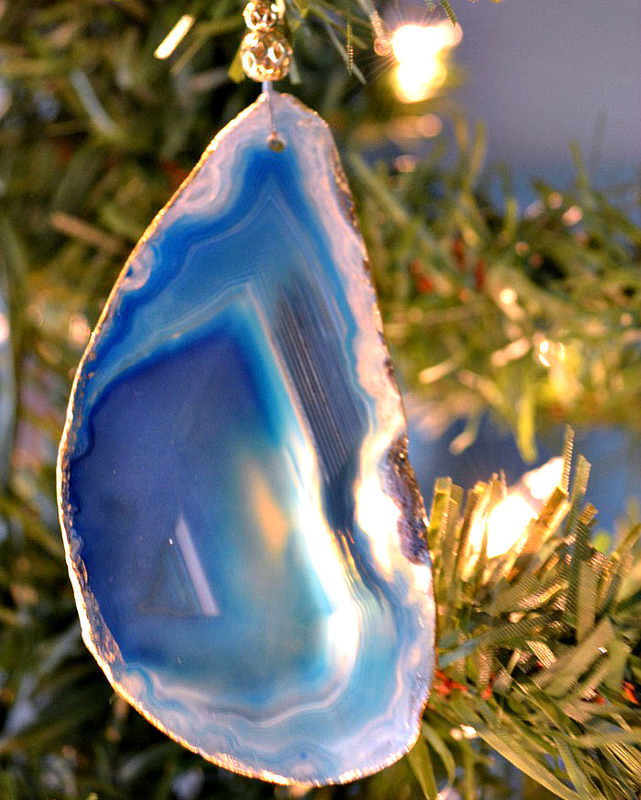 Agate is beautiful hung in front of lights. The rings and colors really light up (no pun intended) and are a really interesting addition to a Christmas tree. 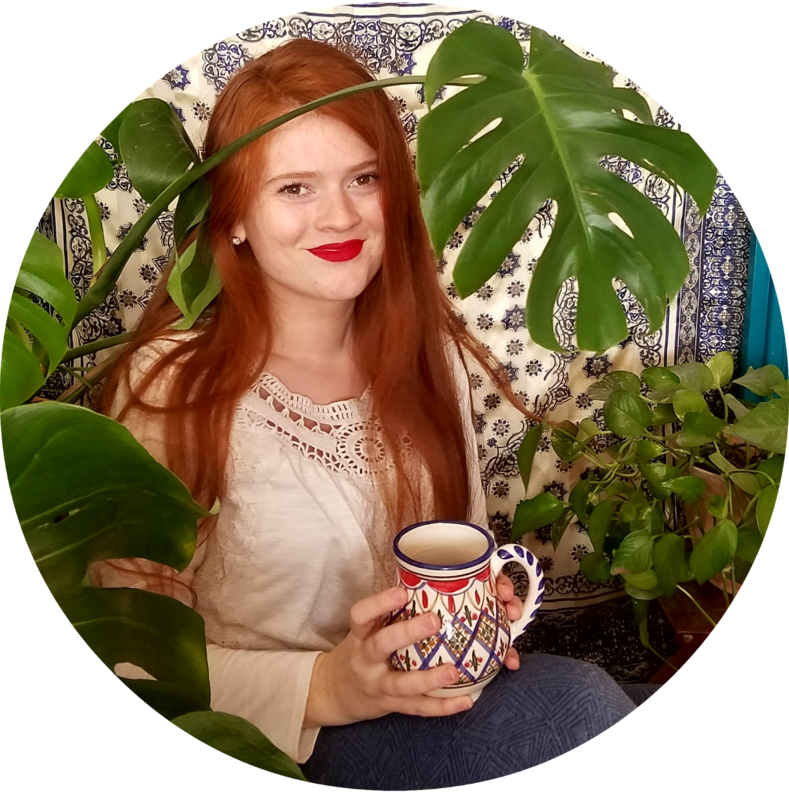 And with the variety of sizes and colors available nowadays, they can blend in with the other decor of the season. 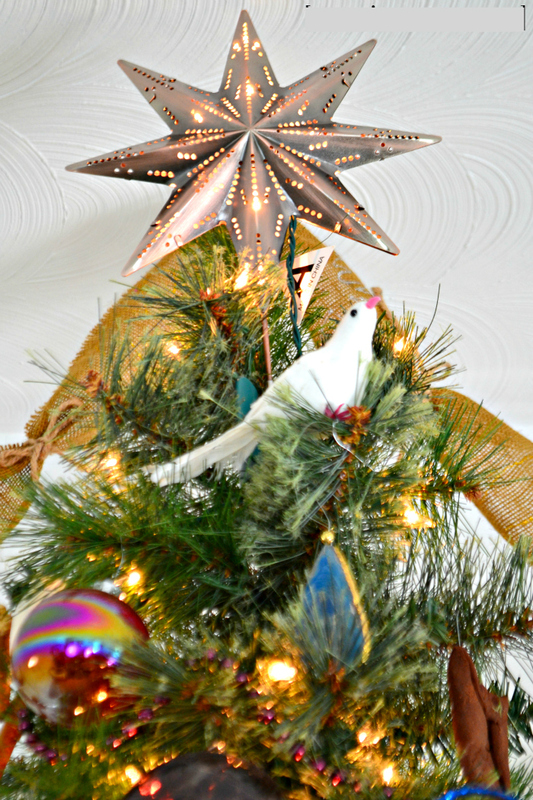 Want to know how to make them for your tree? Let's dive into it. Prepare the agate slices by ensuring they're clean. A little bit of soapy water should be sufficient. 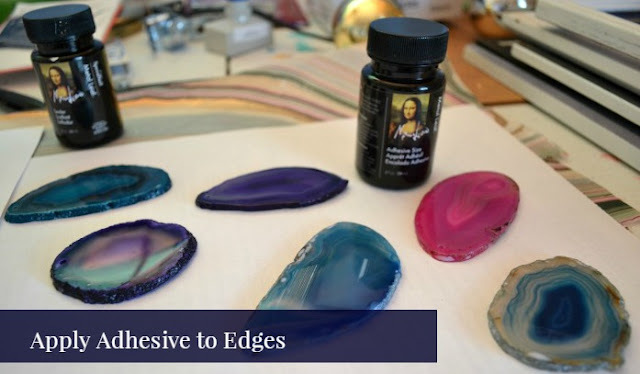 Once completely dry, paint a thin layer of adhesive onto the outer edge of the slice. 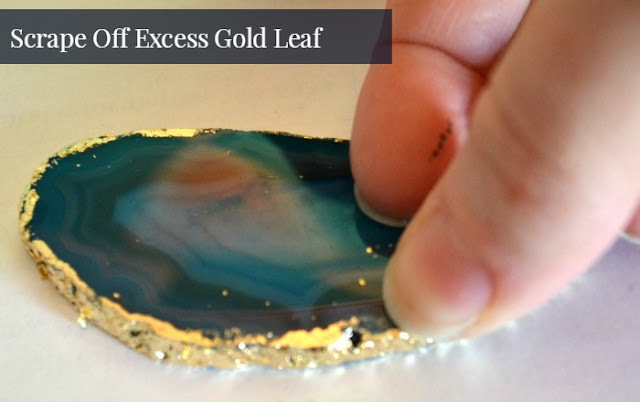 Give it a second and fairly quickly press the gold leaf onto it. I think with the edges being rough and a bit porous, the adhesive dried much quicker than it ever has in previous uses. 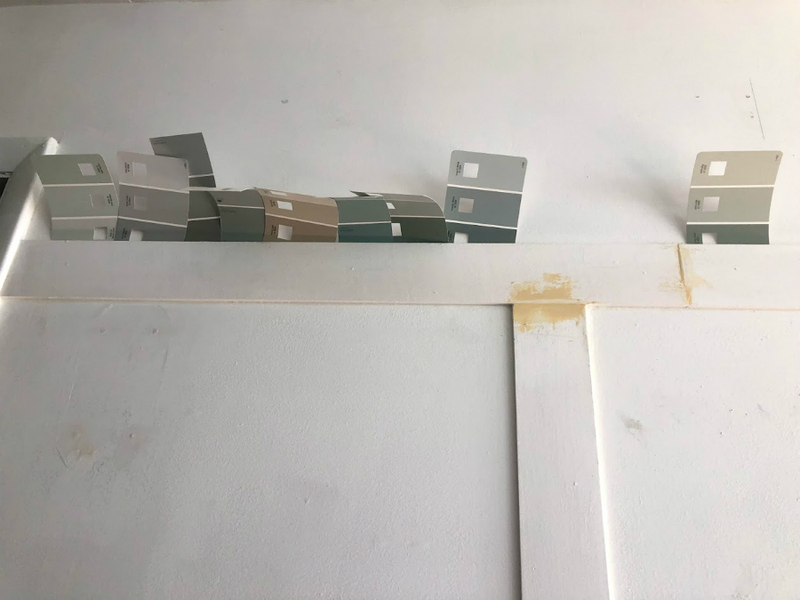 I worked one ornament at a time to prevent the adhesive from drying completely (this happened to me). This is also why I have no during photos, sorry guys! After getting the gold leaf on one, you can let it sit while you finish up the others. Paint a layer of sealer over top the gold leaf. Once the sealer has had time to dry, you can go back in and scrape off any sealer and gold leaf that ended up on the face or back of the slice. Most importantly the face, but I set mine in front of lights in the tree and it mattered to me that the back be clear of debris. Loop an ornament hook through the pre-drilled hole and slide beads onto the hook. You could secure them with a tiny bit of glue, but I left them loose on mine. If you can place them strategically to hang in front of lights on the tree, you'll really get some of the veining to pop and the color to stand out more. Our tree is very colorful and gathered this year with no particular theme. So mine are spaced sporadically throughout the tree for a touch of eclectic. They're quite fun! 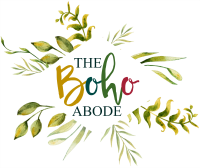 Thanks so much for reading and for taking the time to be here today. I'd love to see you make some! If you do, please comment or tag me in the photo on social media. 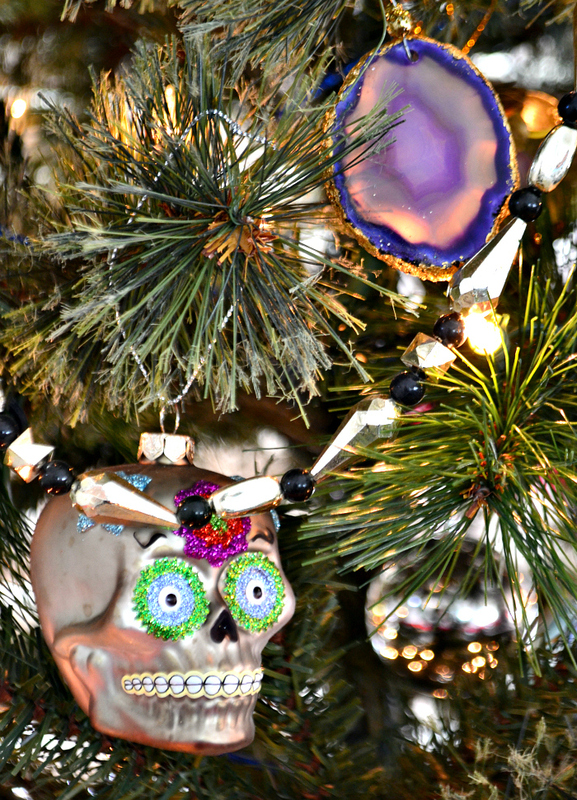 This is so cool and such an awesome way to add color in a non-traditional way to holiday decor. Love the idea and the skeleton rocks!